You might be able to contribute part of your bonus to your SIMPLE IRA for the previous year. 1. Can I Contribute to My SEP IRA for a Previous Year? 3. How do I Terminate or Freeze a Simple IRA Plan? A SIMPLE IRA is an employer-sponsored retirement savings plan that some small companies use to provide employees with retirement savings. This tax-deferred plan has the same general rules as a traditional IRA which, as an employee, makes it relatively easy for you to use and understand. Like traditional and Roth IRAs, you must make contributions by April 15 following the end of the tax year. A SIMPLE IRA is a savings incentive match plan for employees. Because there are limitations on the number of employees who can participate, only small businesses can offer these plans. With a SIMPLE IRA, your company works with each eligible employee to establish a SIMPLE IRA into which you can make salary-deducted contributions. Your company also makes contributions to your account. Traditional IRA laws apply to your SIMPLE IRA regarding investments, distributions and rollovers. Under IRS rules, the last day you can contribute funds to your SIMPLE IRA as an employee is April 15, unless that date falls on a Saturday or Sunday. When that occurs, the last date you can contribute is the Monday immediately following the 15th. Therefore, for the 2012 tax year, the deadline is April 15, 2013; for 2013, April 15, 2014. Even if you file an extension to submit your taxes at a later date, this deadline still applies. The IRS does not extend your SIMPLE IRA contribution deadline to coincide with extensions. As with 401Ks, as an employee you typically contribute a specified fixed dollar amount or a percentage of your salary from every paycheck via payroll deduction. Therefore, your company may not have provisions for you to contribute to your SIMPLE IRA outside of payroll deductions. One option would be to contact your human resources department and request that your contributions between Jan. 1 and April 15 be designated as prior-year contributions instead of current-year for the entire period or until you reach the maximum contribution for that year. A number of companies pay out bonuses for the prior calendar year between January and March. If you receive bonuses or commissions between Jan. 1 and April 15, you may be able to contribute a portion of those amounts to your SIMPLE IRA for the prior year. The maximum amount you can contribute to a SIMPLE IRA as an employee is $11,500 for 2012 if you are age 49 and under and $14,000 if age 50 or more. 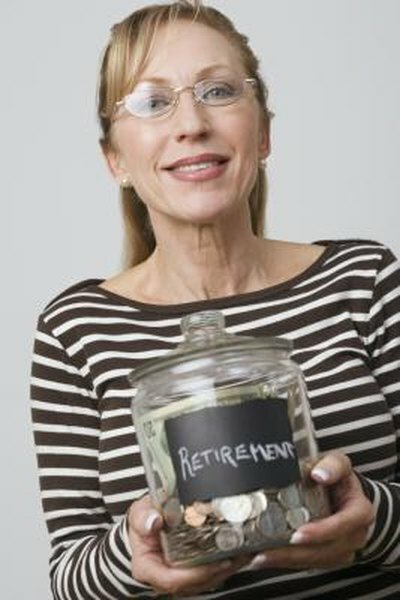 For 2013, the maximum increases to $12,000 for under age 50 and $14,500 for 50 or older. ETrade Financial Corp.: Which IRA Is Right for You? What Type of IRA Is a Thrift Incentive Plan?